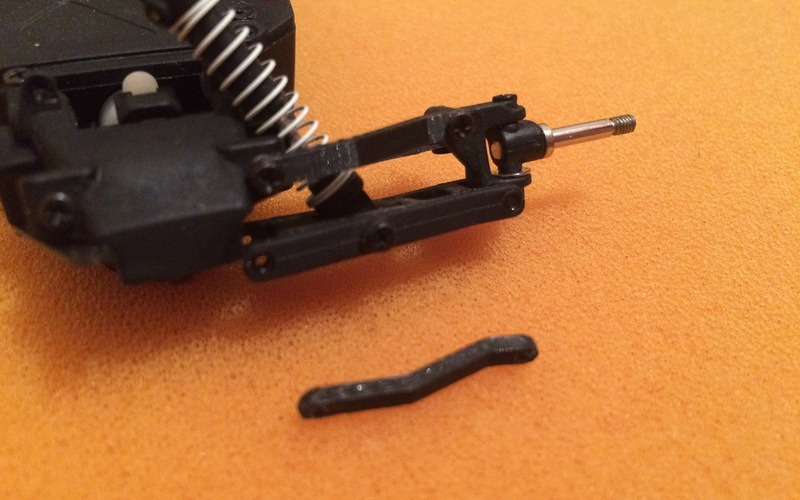 We are just starting up designing 3D printable replacement parts for the Losi Micro-T series of small scale RC models and the new design that we are sharing with you is for a front upper arm. Our 3D printable design makes the front upper arm a little bit thicker than the original one with the idea to make it a bit tougher, and besides added strength you should also get a bit less flex on the arm. Since the detail is pretty small it is recommended to print using finer resolution for best results, we are using 0.1 mm layer height and the result is very good. The front upper arm should print well without the need of support material, but you might want to print using a bit slower extrusion speed to get better results.